Marcia Clark will sign and discuss her newest Rachel Knight book, The Competition (Mulholland; $28). Linda Castillo will sign and discuss The Dead Will Tell (Minotaur; $25.99). Linda Castillo is the New York Times bestselling author of the Kate Burkholder novels, including Sworn to Silence and Her Last Breath, crime thrillers set in Amish country. The first book in the series, Sworn to Silence, was recently was adapted into a Lifetime Original Movie titled An Amish Murder starring Neve Campbell as Kate Burkholder. Castillo is the recipient of numerous industry awards including the Daphne du Maurier Award of Excellence, the Holt Medallion and a nomination for the RITA. In addition to writing, Castillo's other passion is horses. She lives in Texas with her husband and is currently at work on her next novel. The only thing most crime fiction fans love as much as books is drinking, so it only makes sense that someone would combine both. Started in Philadelphia a few years, Noir At The Bar has made its way across the country from St, Louis to LA. MysteryPeople is giving it an Austin spin on July 20th at Opal Divine's on South Congress. We'll have four of the hippest, hard boiled authors on the scene reading from and discussing their work: Marcia Clark, Tim Hallinan, Josh Stallings and Jesse Sublett. So come out to Opal's (3601 South Congress) at 7PM and help us celebrate a new tradition - Austin's Noir at the Bar. Marcia Clark has published three novels which feature Los Angeles Special Trials prosecutor Rachel Knight: Guilt by Association, Guilt by Degrees, and Killer Ambition, which is due out in June. TNT has optioned the books and a drama series is currently in development. Marcia is attached as an executive producer. She's currently at work on her fourth novel. She is a former Los Angeles deputy district attorney who was the lead prosecutor on the O.J. Simpson murder case. TIMOTHY HALLINAN is the Edgar- and Macavity-nominated author of thirteen widely praised books—twelve novels and a work of nonfiction—including the Poke Rafferty Bangkok thrillers A Nail Through the Heart, The Fourth Watcher, Breathing Water, and The Queen of Patpong. In 2010, Hallinan conceived and edited an ebook of original short stories by twenty mystery writers, Shaken: Stories for Japan, with 100% of the proceeds going to Japanese disaster relief. Josh Stallings is your average ex-criminal, ex-taxi driver, ex-club bouncer, film making, script writing, award winning trailer editing, punk. Over his time in Hollywood he wrote and edited the feature film “The Ice Runner,” a Russian/American co-production. “Kinda Cute for a White-Boy” an independent feature he directed and co-wrote with novelist Tad Williams, won best picture at the Savannah International Film Festival. He also wrote “Ground Zero Texas,” a best selling Sony video game with Edward Neumeier (writer of RoboCop). His first novel Beautiful, Naked and Dead, is garnering great notice from readers and reviews alike. Out There Bad (Moses #2) will be published in early summer. He is currently working on the third Moses McGuire novel. He lives in Los Angeles with his wife Erika, his bullmastiff Nelson, Lucy the lab pit mix and Riddle the cat. JESSE SUBLETT is an author, musician and artist living in Austin, Texas with my wife, Lois Richwine. His crime novels include Rock Critic Murders, Tough Baby, Boiled in Concrete, and his latest, Grave Digger Blues. Please join Associates IMC when they host Marcia Clark for a very special lunch event on Wednesday, November 7 at the Luxe-Summit Hotel in Brentwood. Registration is at 11:00am Marcia will speak at 11:30am Lunch will be served immediately following the program Reservations are required and space is limited. Please call 818-774-3375 no later than Monday, October 29 to make your reservation. A portion of the book sales will be donated to Associates-IMC About the Author Marcia Clark began practicing law as a criminal defense attorney. She became a prosecutor in the L.A. District Attorney's Office in 1981, and spent ten years in the Special Trials Unit where she handled a number of high profile cases prior to the O.J. Simpson case, including the prosecution of stalker/murderer Robert Bardo, whose conviction for the murder of actress Rebecca Schaeffer resulted in legislation that offered victims better protection from stalkers as well as increased punishment for the offenders. Since the Simpson trial, Ms. Clark has toured the U.S. and Canada giving lectures on a variety of women's issues including domestic violence and inspirational/motivational speeches, as well as lectures on the latest high profile cases, public service careers, and of course, the Trial of the Century. In May of 1997, her book on the Simpson case, Without a Doubt was published and quickly rose to #1 on the New York Times, Wall St. Journal, Washington Post, LA Times, and Publisher's Weekly bestsellers lists. From February 1998 to 2000 Marcia was under contract as a legal analyst and expert commentator for NBC, CNBC and MSNBC. She appeared weekly as the substitute host of Geraldo Rivera's "Rivera Live," and also hosted "Equal Time" for CNBC and "Judge and Jury" for MSNBC. Marcia has appeared on the "Oprah Winfrey Show," the "Larry King Show," the "Today" show, "The Early Show," and "Good Morning America," among others, and provides legal commentary on a wide variety of cable shows such as "Anderson Cooper 360" and "Issues with Jane Velez Mitchell." Marcia Clark (with writing partner, Catherine LePard) has sold hour-long pilots to the FX network, Lifetime, and VH1 and developed a half hour comedy for NBC. She has also developed reality projects for CBS and was an executive producer of a one hour reality pilot for CBS. Marcia has published three novels which feature Los Angeles Special Trials prosecutor Rachel Knight: Guilt by association, Guilt by degrees, and Killer Ambition, which is due out in June 2013. TNT has optioned the books and a drama series is currently in development. Marcia is attached as an executive producer. She's currently at work on her fourth novel. The Mission Viejo Readers' Festival brings books to life and families and individuals together for a daylong spectacular event featuring celebrity and author readings, book signings, entertainment, food and much more. Those scheduled to attend include Molly Ringwald, actress and author of When It Happens to You: A Novel in Stories; Jeri Westerson, author of Blood Lance: A Medieval Noir; Jim Abbott, the baseball player, and author of Imperfect; Marcia Clark, author of Guilt by degrees; Zov Karamardian, author of Simply Zov; Steven Raichlen, bestselling author and international TV host ; and T. Jefferson Parker, author of The Jaguar. Signed copies of books by attending authors will be available after the event. For more information on the Festival, visit their website. Publishers Weekly called Marcia Clark’s Guilt by degrees an “exemplary legal thriller” in its starred review. LA deputy DA Rachel Knight, introduced in Guilt by association, pursues justice for a homeless murder victim after the prime suspect is released due to a colleague’s transgressions. The review continues, “Clark … gets the mixture of action and investigative legwork just right.” Terry is a particular fan as well. Also signing in San Diego on May 15th. Marcia Clark signs Guilt by Degrees. 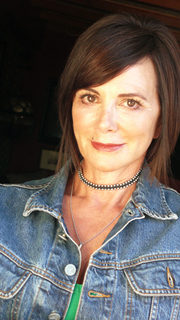 Marcia Clark's book Guilt By Degrees was available from LibraryThing Early Reviewers. Marcia Clark's book Guilt By Association was available from LibraryThing Early Reviewers. Marcia Clark is currently considered a "single author." If one or more works are by a distinct, homonymous authors, go ahead and split the author. Marcia Clark is composed of 2 names. You can examine and separate out names.